As an effective meeting planner, you know that it’s essential to keep your focus on the big picture while ensuring that the small details take your event from stereotypical to extraordinary. But rather than trying to do it all yourself, collaborating with your venue’s meeting planning staff can make a big impact on the success of your event. Here are a couple of ways your venue cohorts can help you hit a home run on your next corporate event. Naturally, a great event revolves around a purposeful message. Asking yourself some critical questions will help you and your venue stay on base. 1. What’s the theme of your meeting, and how do you want attendees to feel while they are here? 2. Are you hosting an annual event to invigorate and revitalize employees? 3. Is it an industry-wide conference where you will be sharing new innovations and exciting opportunities? 4. Are you planning a smaller scale meeting for key players who will be reviewing and planning for organizational changes? Whatever your meeting goals, the venue’s meeting planning staff can help ensure every aspect of your event supports them. From room setups that encourage collaboration to teambuilding activities that promote creative thinking, your meeting venue can ensure that your theme and intentions are present throughout. Of course, there are a lot of things that make meetings memorable. Most notably are the speakers, innovative workshops, and yes, the food. When it comes to dining, conference attendees absolutely notice when you have gone the extra mile or simply provided the bare minimum. As a result, most venues have begun paying attention to current foodie trends. Even when working with a tight budget, you can customize the food for a single meal or coffee break to make a difference. 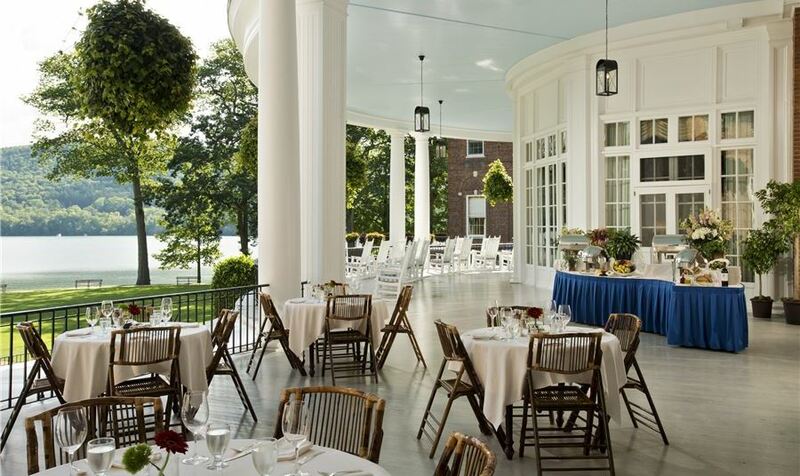 Whether it’s a breakfast buffet that guests will gladly get up early to enjoy or a unique afternoon break like our 7th Inning Stretch, our catering staff at The Otesaga Resort can work with you to create personalized and unforgettable culinary choices at your next event. Your meeting venue can contribute a lot more than rooms and food to your event. At The Otesaga Resort, our all-star meeting professionals are dedicated to working with you to ensure every detail of your event is hit out of the ballpark. With over 30,000 square feet of flexible meeting space, exceptional accommodations, and world-class guest service, The Otesaga is the perfect venue for corporate gatherings of any size. For more information or to submit an RFP, contact us today.